With everything you care about in one place, it’s easy to stay in the know about all things related to mortgage services. Stay updated on the latest developments in mortgage services, Axis Mortgage Corp - Tony Hundal promotions, and knowledge guides. How-to guides: If you need help picking the right mortgage broker, avoiding costly mortgage mistakes, or general advice on how to select mortgage products, our newsletter provides the guidance you need. Industry news: Stay up-to-date on the latest news in mortgage services. Valuable blog posts: Preview our blog posts by clicking here, and head straight to the ones you want to read. Our blog is updated regularly with advice on how to pick mortgages products and other valuable service information. We promise we won’t overload your inbox! 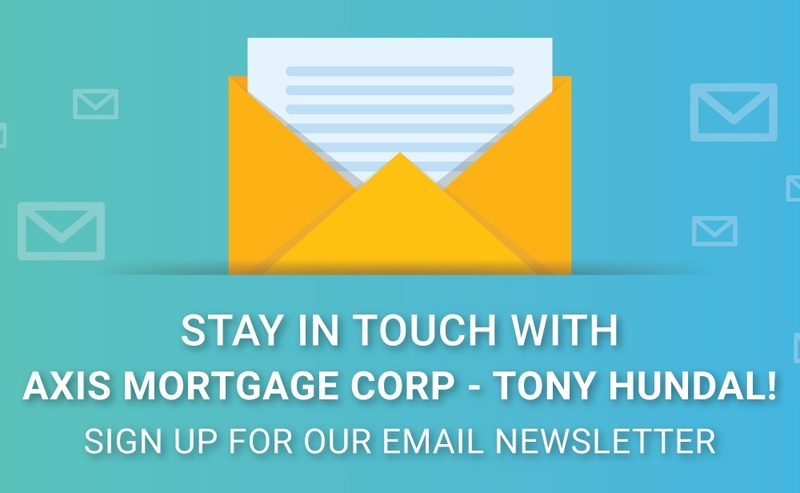 Axis Mortgage Corp - Tony Hundal’s email newsletter is sent out bi-monthly with only the most relevant content for you. With several years of experience, Axis Mortgage Corp - Tony Hundal is the most trusted name in mortgage services in Surrey, BC. To learn more about what we do, please click here, or get in touch with us by clicking here.